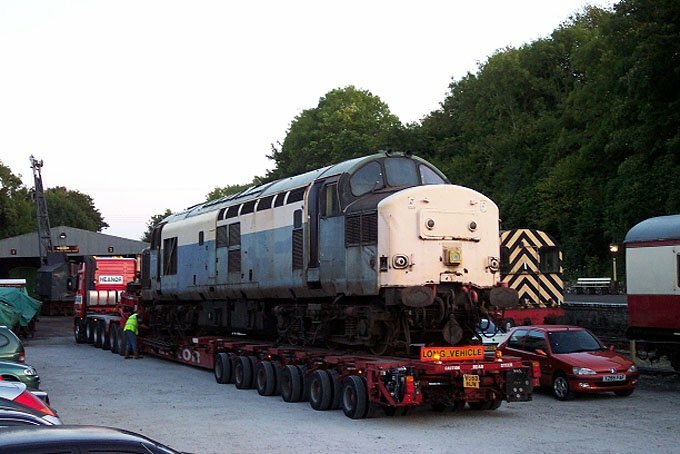 After 34 years of freight service, many of which were in Cornwall hauling clay, 37142 was withdrawn from Traffic and laid up for several years. 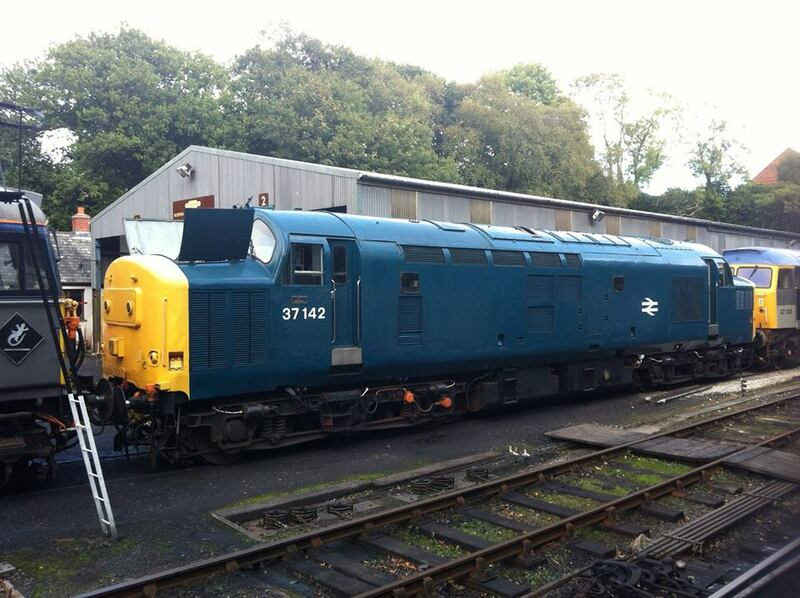 In May 2003, 37142 was purchased and is seen here on arrival at Bodmin General, the task of restoration begins. 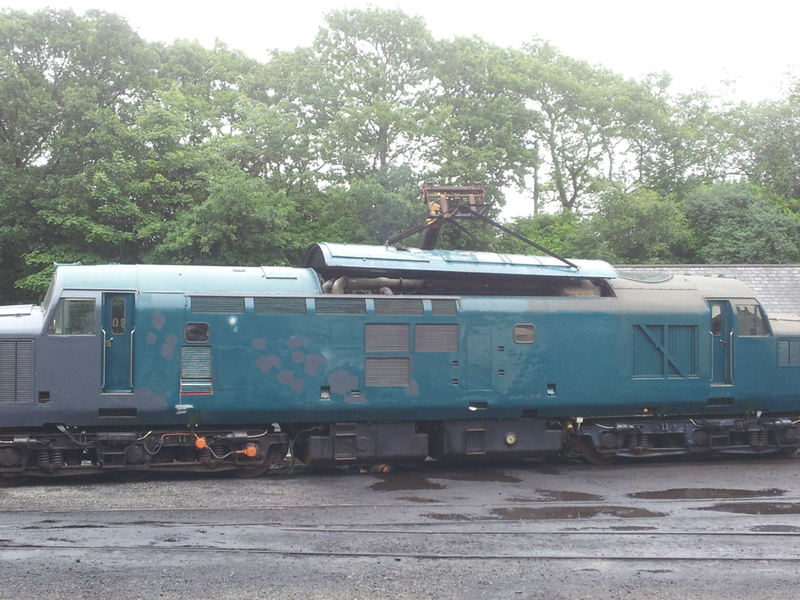 Unlike 33110 & 50042 which had many parts missing, that had to be sourced, 37142's restoration was more cosmetic. Within 9 months the engine was once again fired up. First traction movement under its own power occurred in August that year and 37142 then took part in the September 2004 Diesel Gala for the first time. The final body work repairs and top coat painting took another 12 months with the small team of volunteers (and funds) dedicated to the task. Restoration and maintenance however does not end there. As in 2009 engine oil contamination revealed that the 12CSV engine required a major overhaul. 37142 was once again put out of service and on a limited budget the group together with some specialist services went about the task of overhauling for the next three years. Inspection of the engine showed at least 3 cylinder liner seals had failed so the decision was made to overhaul all 12 cylinders. First of all the surrounding pipework and services which sits above the engine (water, air and exhaust) were removed to allow access to the cylinder heads. These were removed allowing the pistons to be disconnected from the main bearings and then withdrawn. Finally the 12 liners were lifted out for inspection. Internally 11 of the liners were in good condition and only required honing and cleaning. The 12th needed to be replaced with one from our spares. Externally they needed the seal grooves cleaning out ready for the replacement 'rubber bands'. All of the pistons were found in very good condition, although some ring grooves needed machining out for new larger replacement piston rings. A complete set of new big end bearing shells were obtained and fitted before full re-assembly took place. The opportunity was taken to undertake more than just the engine overhaul, with the body work once again being stripped back, inserts and repairs being made, before a final paint. 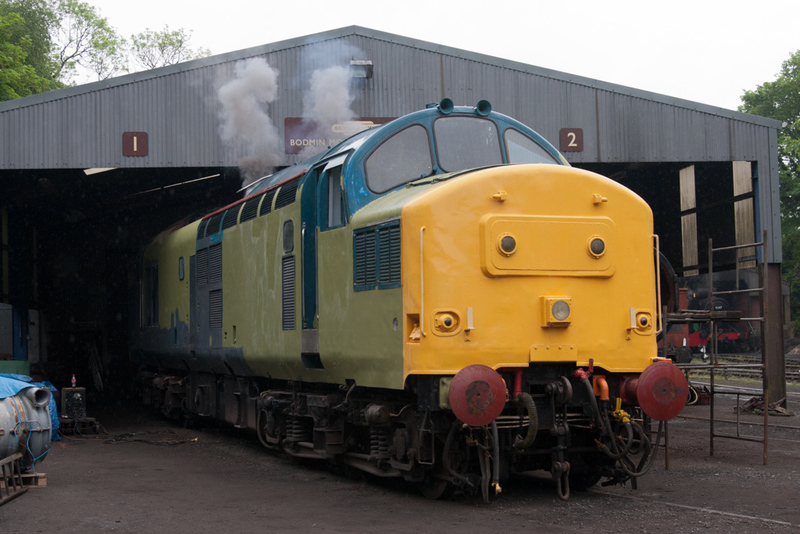 In July 2012, 37142 was fired up for the first time in well over two years and further work saw her take her place in the September diesel gala that year. The work outlined in the above few paragraphs, does not relate to the 100's of man hours from the dedicated members, or to those that lent an occasional hand and of course the £1000's of pounds needed to complete a major overhaul. 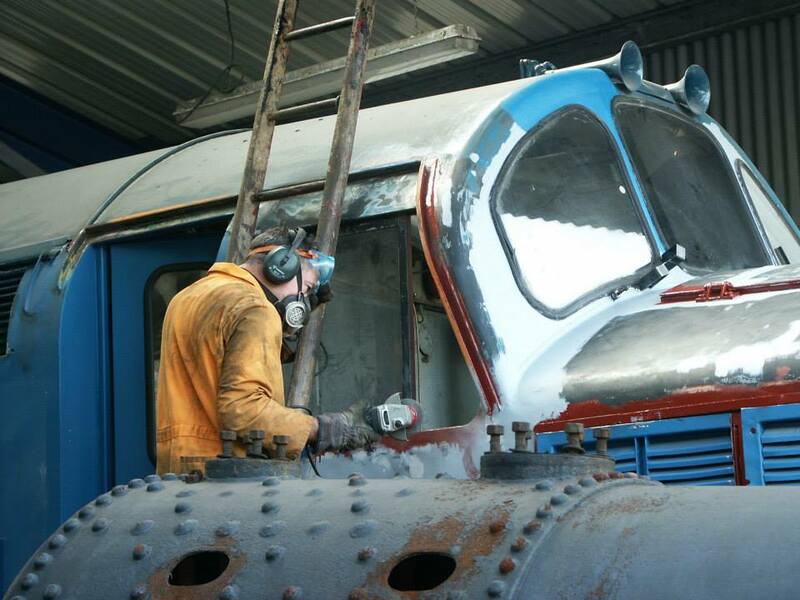 Work continues to keep this loco serviceable and available to the railway. Some issues with the auxiliary generator voltage regulation causing additional faults have been diagnosed and a replacement electronic AVR has been sourced. 37142 is now settling down nicely again, but requires a new set of batteries at some point. Overhaul now moves onto the next one in turn 50042.